What is the best method? Where from? How can I access it? Some of the most common questions we often hear from our clients. Funding for expansion, to help with day to day cash flow or for a specific purchase are just three ways that we can help. In the current climate there is more choice and options available than ever and, here at Armstrong Watson, we can help guide you through the various types of funding and identify potential lenders that might best suit your needs. To help us achieve this we have also established a strong relationship with Capitalise, an online platform that provides us with access to over 100 different funders offering a whole host of funding options. We believe that part of our ongoing commitment to our clients is to make sure that you understand how much choice you really have and to ensure you are able to choose the best solution for your funding requirements. Our Commercial Funding team can help simplify the whole process. As your trusted business partners we will always put your best interests first and will provide you with a truly independent approach to finding the right type of funding. Multi-purpose business loans available on both an unsecured and secured basis over repayment terms of up to 5 years. The advantage of these types of loan is that they can be organised quickly and may not affect other forms of funding the business already has in place. These are flexible short term loans which can be used to drive growth almost anywhere within an organisation. Avoid the restrictive inconvenience of waiting for raised invoices to be paid by advancing a percentage of them immediately. Rather than borrow against your business you can source working capital funds from work that has already been completed as well as having the option to outsource your sales ledger management processes. Looking to develop a property, buy a commercial property or use an existing property as short term security for a loan. A variety of different methods are available to secure this type of funding from small loans to larger staged development projects. Preserve your working capital whilst getting access to the tools, equipment or machinery your business needs. Avoid hefty up front costs by either spreading the purchase via payments over a convenient number of months or years, or simply lease the required assets over a period of time to best suit the business. If your business takes regular payments through a card reader or EPOS terminal then you may be eligible for a merchant cash advance. An amount is forwarded directly to your business bank account with repayments linked directly to credit or debit card payments taken. This type of borrowing is unsecured with no fixed repayments and may suit more seasonal businesses as a method to raise funds. Capitalise is an online funding platform that provides Armstrong Watson with access to over 100 different lenders, providing around 1,000 funding solutions. Upon initially seeking funds for my new Motorhome Hire Franchise business I came up against so many walls and delays with traditional funders. Douglas Russell offered assistance to raise Finance through the Capitalise option offered by Armstrong Watson and following the amazingly quick professional process, as an outcome we secured funds within 9 working days. I can not thank Douglas and the Capitalise team enough - a very valuable addition to my new venture. 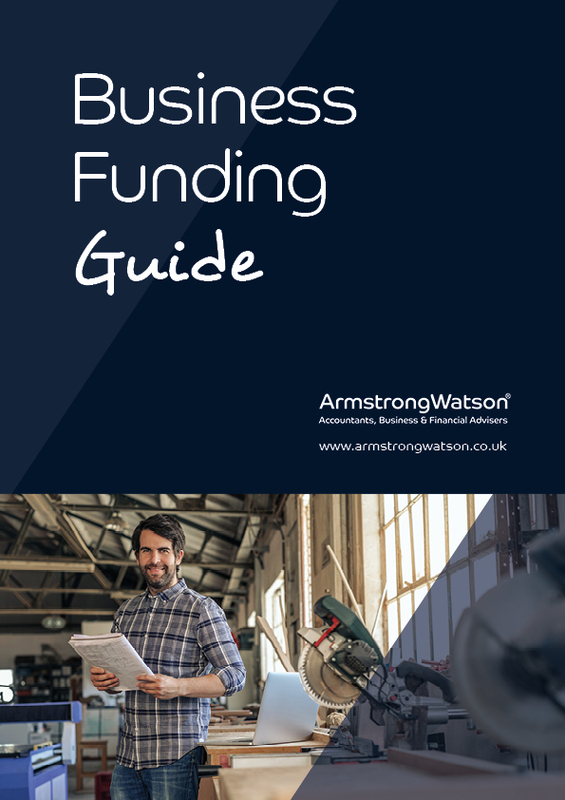 A guide to some of the most popular financing options taken up by UK businesses. Funding for Small Business – Good or Bad and where can I get it from?